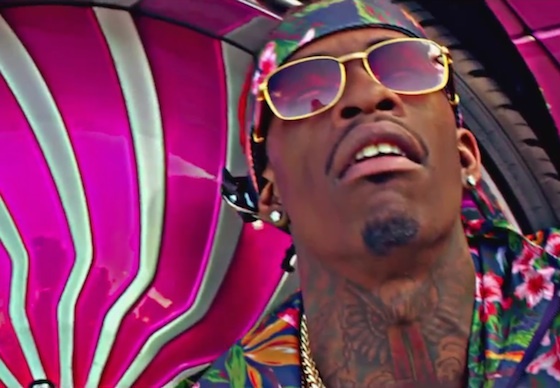 Rich Homie Quan has been grinding out material lately, and today's no different as the artist has revisited his excellent recent song "Flex (Ooh Ooh Ooh)" to give it a video. The bright, colourful clip sees Quan hanging out with a plethora of models and checking out some fancy cars. He's wearing a ridiculous outfit, and the video's made even more eye-popping with a filter that gives everything a white glow. Watch the video for "Flex (Ooh Ooh Ooh)" below.